Whether you are looking for a fun Early Childhood music class, outstanding instrument instruction, Classroom Music for your school, or Music Therapy for your diverse learner, ChiME has a program or service for you. ​Submit the form below to help us find the best fit. At ChiME, children and their parents can benefit from Music Therapy in three different settings: group music therapy, individual music therapy, and music therapy instrument lessons. Bring ChiME to your school or organization! 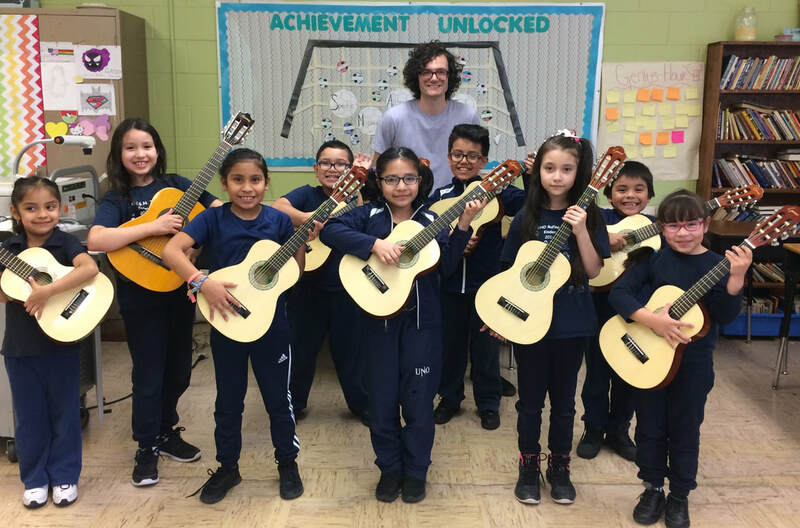 We are proud to serve approximately 3,000 children this year through our music education programs in Chicago Public Schools and partner organizations. ​Music serves as a vehicle unlike any other for children to grow their intellectual capacity, develop social and emotional skills, and find their unique voice.